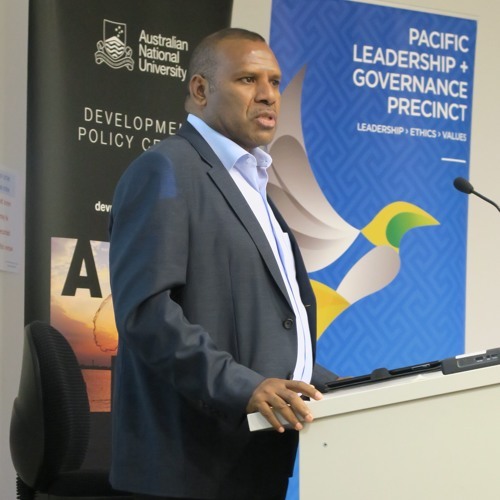 In this podcast of a seminar, Dr Eric Kwa discusses the agenda and approach being taken by PNG’s new government in relation to strengthening government systems and processes. Among other topics, Dr Kwa discusses the design of the proposed PNG Independent Commission Against Corruption (ICAC). Dr Kwa is the Secretary/CEO for the Papua New Guinea (PNG) Constitutional and Law Reform Commission and one of the country’s pre-eminent legal thinkers. A lawyer by profession with many years of experience in practice and research, Dr Kwa holds a PhD in Environmental Law from Auckland University, New Zealand. He also holds a Master of Laws with Honours (LLM (Hon)) from the University of Wollongong and a Law Degree with Honours (LLB (Hon)) from the University of Papua New Guinea. He was formerly an Associate Professor of Law and Dean of the University of Papua New Guinea Law School. This event was presented as part of the Development Policy Centre’s PNG Project, which receives funding from the Australian Aid Program through the Pacific Governance and Leadership Precinct.